Many brand owners usually only use cosmetic packaging as a box, which is considered to be only a function to protect products and display product information. This kind of cognition is wrong! Cosmetic packaging boxes should be life-based and able to interact with customers. Creative cosmetics boxes can make products stand out in a highly competitive market and impress consumers. 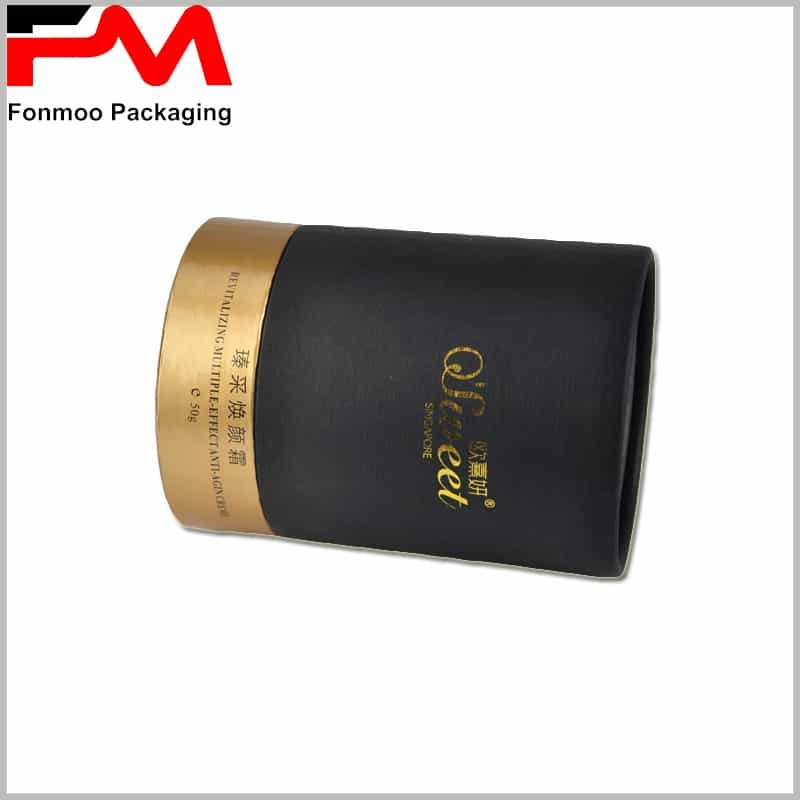 Large-capacity cosmetic bottles usually use large cardboard boxes, but small-capacity cosmetics can use small cardboard tubes boxes. Eyelash pencils, skin care essential oils, eye creams and perfumes are usually packaged in small paper tubes. Packaging materials have an important impact on the grade and value of cosmetics. 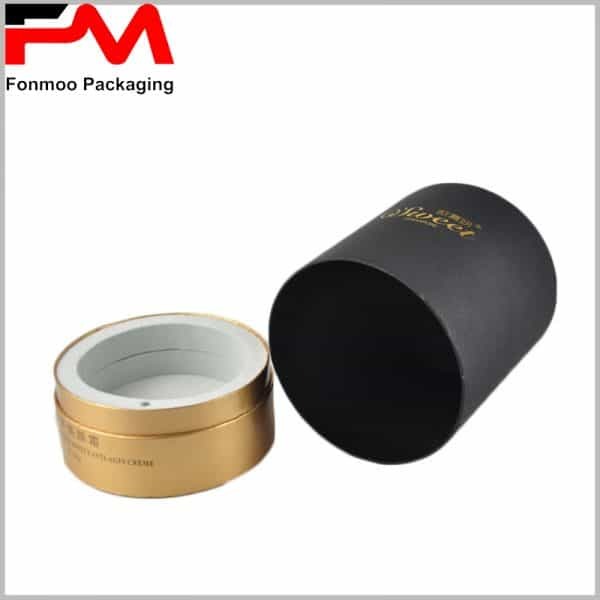 The black fine cloth paper is used as the surface paper, which can reflect the elegance and nobleness of the eye cream; the use of gold card paper further reflects the luxury of packaging and products. Inside the package, there is a 3cm high, 1cm thick white EVA ring that secures and protects fragile eye cream glass bottles. The choice of materials for skin care packaging is perfect and has a good effect on the display of the packaging. The printing process should also take into account the design of the cardboard cosmetics packaging. LOGO and the name are bronzing printed to make the package look more beautiful and luxurious. Other printing processes, such as emboss, UV, coating, etc., will reflect the uniqueness of the packaging. By customizing cardboard tubes boxes for cosmetics packaging, your products and brands will be more competitive.